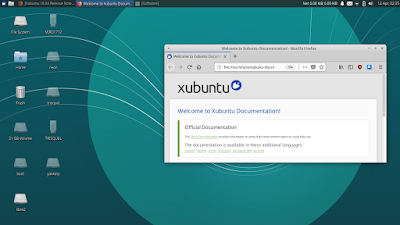 Xubuntu 18.04 LTS beta 2 is very lightweight yet full-featured and is available to download on the daily images server. The final version --planned to be released on this April 26-- will be supported officially for 3 years (from 2018 to 2021). 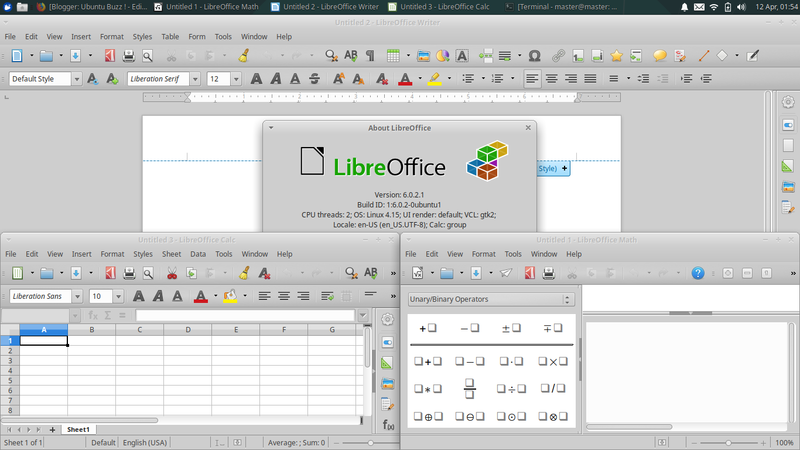 You will have latest applications (Firefox 59, LibreOffice 6.0, XFCE 4.12, etc.) but with the same user-friendliness as your previous experiences and needs only about 350MiB of RAM at idle time! The rest of this short review tells you those interesting things. Enjoy! 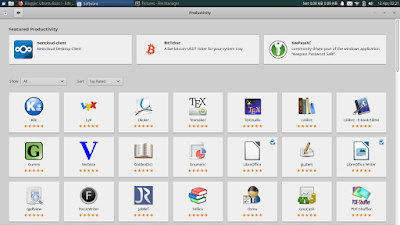 Read also the series of Bionic beta 2 including short overview of Kubuntu, Lubuntu, and Lubuntu Next, and Ubuntu original. 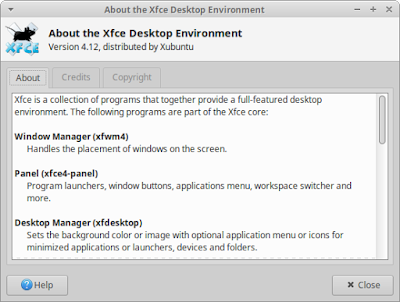 Xubuntu 18.04 in the beta 2 version uses the Linux kernel 4.15, XFCE 4.12, Thunar 1.6.15, LightDM 1.26, and systemd 237. It supports both 64 bit and 32 bit computers. 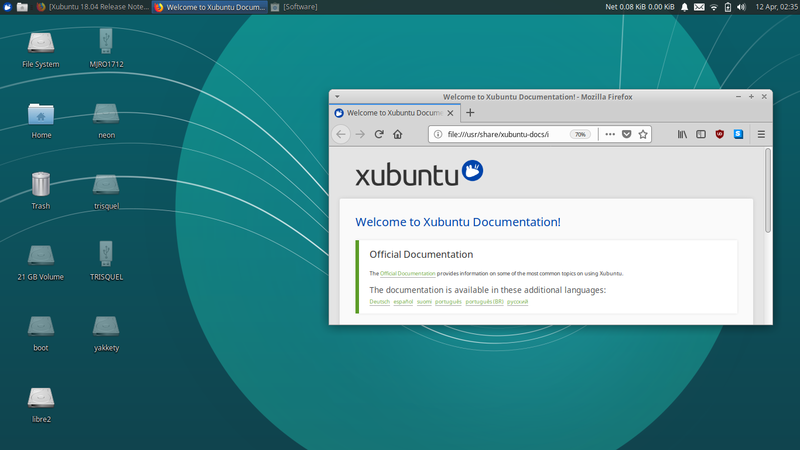 Xubuntu 18.04 itself is a Long Term Support (LTS) version and will be supported for 3 years until 2021. The beta 2 is currently available to download on the daily images server. Here's the default wallpaper and how the desktop looks on Xubuntu 18.04 beta 2. I put application icons on the desktop area to show it still works while the Ubuntu original now does not have this feature anymore. 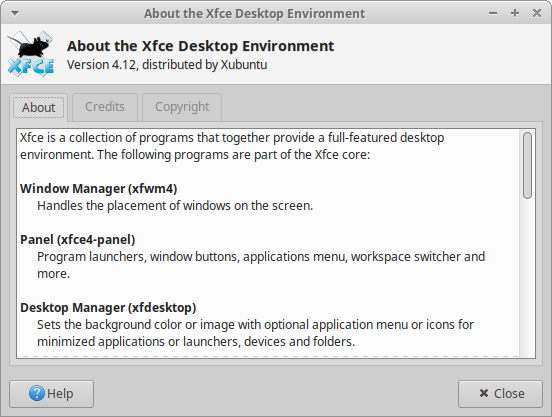 It;s important to note that there is no difference in the desktop here compared to the previous Xubuntu LTS version, 16.04. 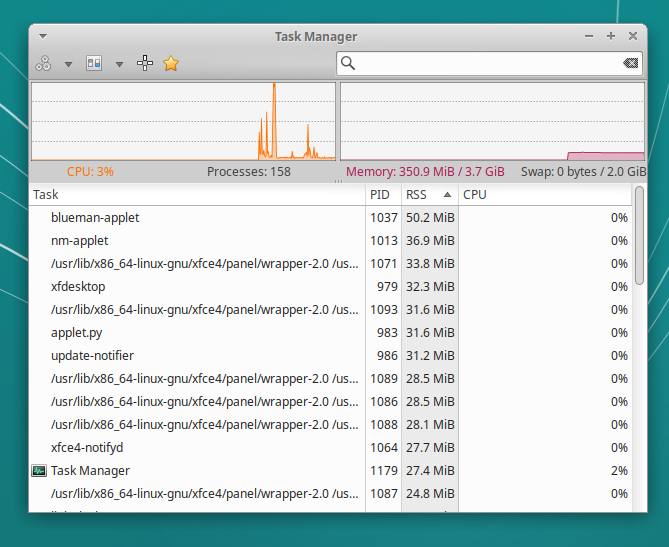 Amazing, it takes up only around 350MiB of RAM in the first login after freshly installed on my laptop. This makes Xubuntu Bionic in the group of beta 2 very close to Kubuntu (~370MiB), while considerably ~100MiB heavier than Lubuntu (~230MiB) and Lubuntu Next (~260MiB), but obviously it's extremely more lightweight than Ubuntu original (~1.2GiB) by almost 4 times! 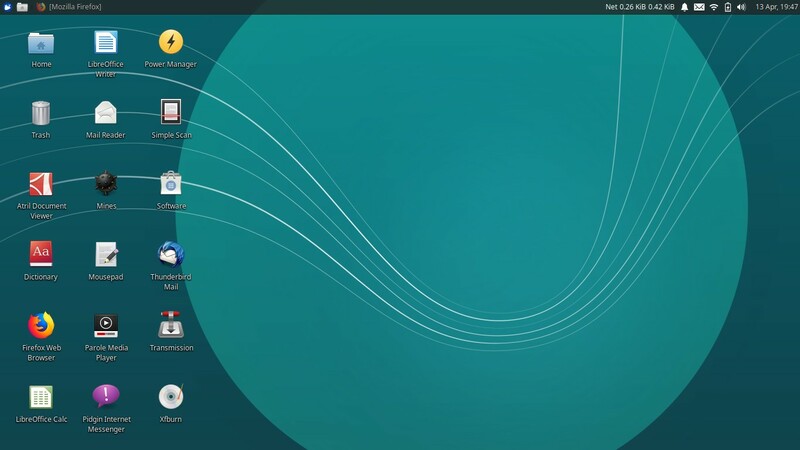 In short, Xubuntu Bionic is a very low-requirement desktop operating system in 2018 which is user-friendly, modern, and supported by thousands of applications! Xubuntu 18.04 beta 2 brings LibreOffice 6.0 with only Writer, Calc, and Math (without Impress). 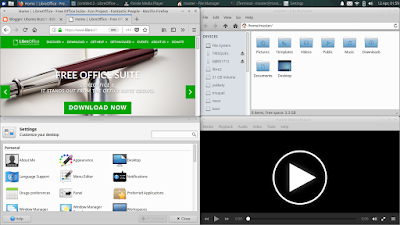 It brings Firefox 59 just as Ubuntu original and Kubuntu Bionic beta 2 do, plus many XFCE programs like Thunar 1.6.15 rist(file manager), Ristretto 0.8.2 (image viewer), Mousepad 0.4.0 (text editor), Terminal 0.8.7.3, Task Manager 1.2.0 (cpu/ram monitor), and Settings Manager 4.12.3 (control panel). Here's Firefox 59, Thunar, Parole Video Player, and Settings Manager showing up in one screen side by side. Also, about internet connection here's Pidgin 2.12 (universal internet messenger), Thunderbird 52.6 (mail client), Transmission 2.92 (BitTorrent client). 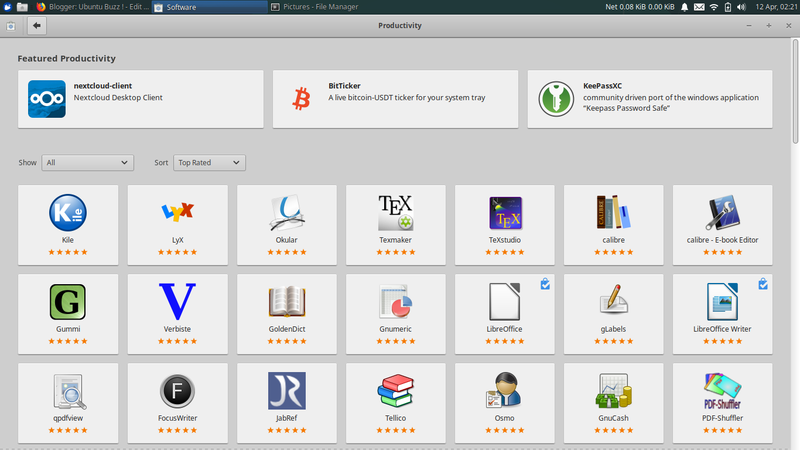 Xubuntu features a program called Software. You will find it from menu > Software. This is where you find any application you want and install it (including update it and remove it). 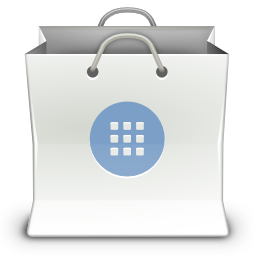 What kind of application you need? A replacement to MATLAB? You can install Scilab with the Software. You want 3D CAD? You can install FreeCAD from it. Almost everything human being needs in computing is available in the Software. The system installer on beta 2 version is still Ubiquity. So, it has the same steps to install Xubuntu system compared to its older versions. 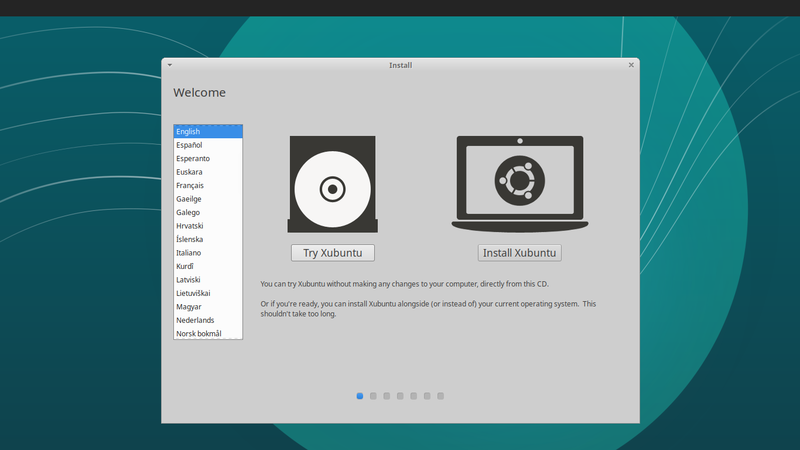 Xubuntu 18.04 beta 2 is already lightweight yet still feature-rich. 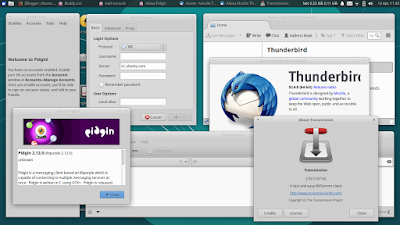 It gives us same experience with the old Xubuntu but with latest version of applications. And please note, it still support both 64 bit and 32 bit! We can consider the next final stable release to be as lightweight as this beta 2 version. Finally, Xubuntu Bionic is really amusing. We will wait!